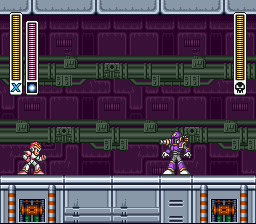 X and Zero preparing to inflitrate the fortress. 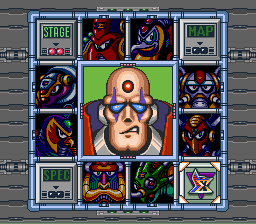 Sigma's Fortress, the final area of the game. 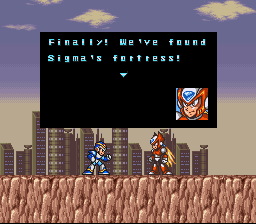 After defeating all of the main bosses, Zero will come to tell you that you need to infiltrate Sigma's fortress. Finally, the final areas of the game. 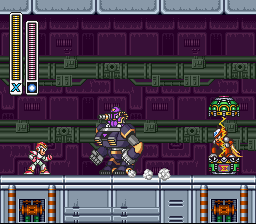 In the first Sigma Stage, you'll encounter Vile, Boomer Kuwanger (back for another fight), and Bosspider, who's a fairly simple boss. If you didn't get the Buster upgrade from Flame Mammoth's stage, you'll be able to get it from Zero later on in the stage. Jump on these until you reach the top; use the alternate fire for Rolling Shield or Chameleon Sting if it's troublesome. 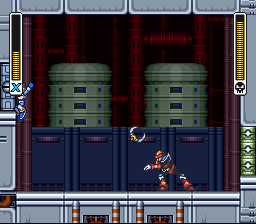 When you enter this stage, Zero will be waiting for you to give you some words of advice before splitting up. Head right and take out the Mega Tortoises, use Chameleon Sting or Storm Tornado to take out the airborne enemies. When you reach the cliff to the right, prepare yourself for some close calls. 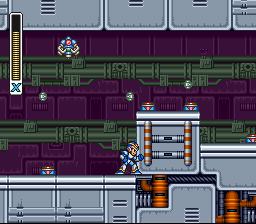 It's recommended that you use anti-air abilities like Chameleon Sting or Boomerang Cutter in this section. For this part, you have to jump from each flying machine until you reach the top while dodging those annoying purple flying robots. If you're having trouble getting to the top, you can use the Rolling Shield's alternate fire (or even Chameleon Sting), which will protect you from all forms of contact. 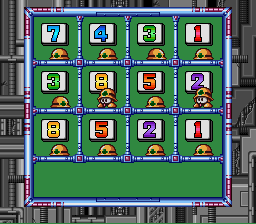 Once you reach the top, you'll have to deal with some cannons and Mega Tortoises. When you get past them, keep climbing up the ladders until you reach the top, where you'll then have to fight Vile. Keep getting hit until he shoots one of his glowing orbs. This is another storyline battle, so just keep getting hit by Vile until he shoots one of those glowing orbs. Once he does, you'll be disabled and unable to move. After the cutscene, the real battle begins. Shoot him with the Rolling Shield. Vile will be a pushover with Rolling Shield, Homing Torpedo or Storm Tornado. All 3 of these options will inflict a ton of damage against him. He leaves himself open a lot, so you should be able to kill him with no problem. The main difficulty with fighting Vile is simply not getting hit, since it’s this action that causes the most damage. His only actual attacks are his yellow capture projectiles that disable your movement (in which he gets a free hit on you afterwards) and an aerial jump where he rains bullets down on you. If he dashes off screen you won't be able to hit him, but he can shoot at you or dash either along the ground or through the air in a large arc. You need to learn how to react to his actions to avoid getting hit. You can dash past him when he jumps, and if you're stuck, just keep dashing as best you can. When he dashes along the ground, just hop over him and strike him from behind. By defeating Vile you'll receive the Buster Upgrade from Zero if you haven't gotten it already. Jump on the springs once the lasers disappear. 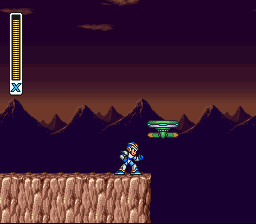 After the Vile fight, you'll have to get across the next area by jumping on various springs while dodging the laser trip wires from Boomer Kuwanger's stage. Wait for them to disappear and then quickly jump on the springs. Note: You can use a charged rolling shield to shield yourself so you can go through the laser trip wires without harm. Afterwards, there will be an annoying wall scaling sequence. You have to constantly dodge several enemies while scaling a large wall... but to make your life easier, just use Chameleon Sting's alternate fire, which will make you invulnerable to all attacks. When you get to the top, prepare to fight Boomer Kuwanger. Use his weakness, the Homing Torpedo. Use the same strategy as before: shoot him with his weakness, the Homing Torpedo, while hiding in one of the corners, and then dash to the other corner if he tries to go underneath you. In the final area Mettools and Spinies will try to make your life more difficult. Use the Chameleon Sting's alternate fire to safely make it across, and then step inside the dungeon to fight Bospider. This is a fairly simple boss fight with Shotgun Ice. Bospider only has two attacks: he'll try to crash into you or he'll release four miniature spiders which will try to hit you. There are four large vertical vines, and when he is going to crash into you from above, a few horizontal vines will appear, and he will start falling down, while changing vine whenever coming across a horizontal one, like the infamous "Ghost Leg". When he touches the floor, the red eye on his back will open, which is his weakness. To avoid getting hit by him, it is recommended that you watch the pattern of vines, and find a safe spot to dodge his ramming. Once he gets close, dash and then shoot his eye with the Shotgun Ice. If he drops the spiders, either jump over them or destroy them with the Shotgun Ice (it has plenty of energy, so don't be afraid to use it if you have to). Repeat until he's gone. This page was last edited on 26 August 2015, at 00:12. This page has been accessed 148,629 times.